Tenebrae is a moody candle-lit service. 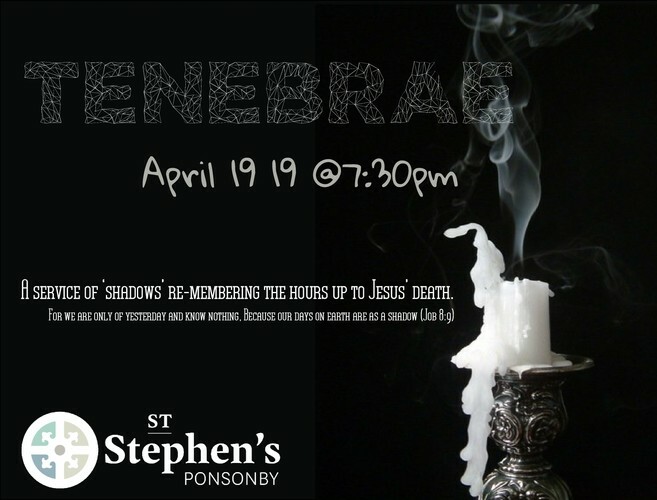 Tenebrae means ‘shadows’ and is about reliving the hours up to Jesus’ death. There will be some organ recitals, a Korean choir and contemporary reflective, downbeat music, scripture readings and poetry. All welcome to join us in our beautiful old church.